Posted byDave the Wine Merchant	 December 11, 2006 1 Comment on New York Bans Trans Fats?? If you have even a single entrepreneurial bone in your body, you’ve likely pondered New York’s coming black market in Trans Fats. Now that such fats are banned in the Big Apple, I foresee tremendous black market potential for some old favorites – foods high in hydrogenated oils such as cookies, chips, pizzas, hamburgers and fries. But if planning to feather your retirement nest by hawking Cheeto’s under the dark of night, you’d better hurry. If the Heart Attack Grill gets in on the action, the market is as good as sutured. 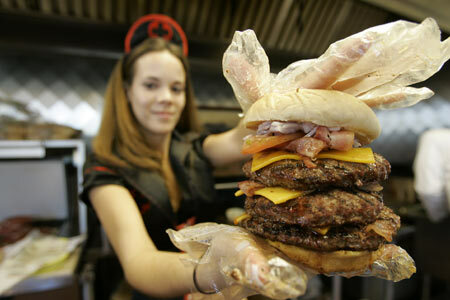 With their Quadruple Bypass burger (right) and Flatliner Fries (still cooked in old-fashioned lard! ), hawkers of mere Cheeto’s are doomed. This famed Tempe institution has managed to use the world’s oldest marketing technique to move more than their share of ground cow, while simultaneously raising the ire of feminists and the Arizona State Nurses Association. Rumor has it they’re looking for new locations. Such institutions are no longer welcome in the Big Apple (suggested slogan – "Watching your waistline so you don’t have to"). The city’s new ban on trans fats has raised more ire than a scorned feminist, which pales, apparently, relative to a scorned New York City Hot Dog vendor. Caveat – at this point I must remind you that oft-quoted study contains some fine print – a human need consume over 100 bottles of red wine per day to equal the resveratrol used in the fat mice study. That is just slightly higher than the two-glass-a-day maximum recommended by sagely medical sources, no matter HOW large a glass you use. Ahhh, the scent of an old world wine! A scented tour of the Spanish countryside, this wine captures scents of dark fruits, honey, dust, distant leaf fires, aromatic vegetation and perhaps a distant farmyard. Winemaker Laely Heron has done it again. 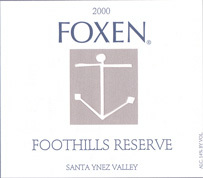 The pleasant syrah spice is more forward on the palate, and with the subtle oak influence and the meat-and-coffee depth of the mourvedre makes this a wine of sufficient complexity to satisfy the inquisitive drinker, while the price allows the more casual drinker easy enjoyment of a most pleasant wine. 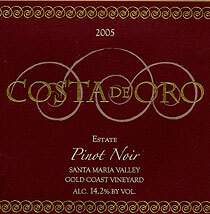 A most worthy pinot from the famed Santa Maria appellation. Winemaker/Owner Gary Burk trained under Jim Clendenen at Au Bon Climat before striking out on his own, and some of Jim’s magic must have rubbed off – Gary is one of the area’s winemakers to watch. This wine is a blend of Merlot and Cabernet Franc, the same blend used in Mile’s coveted Cheval Blanc in the movie Sideways. This library wine is drinking beautifully now, and is not widely found in distribution. We are most fortunate to have a handful of cases left. "No diet will remove all the fat from your body, because the brain is made entirely of fat. Without a brain, you might look good, but all you could do is run for public office." This new law is going to have a serious impact on more than just the junk-food industry – the pot market is going to, pardon the pun, go up in smoke. I mean, who is going to light up a fat one if you know you can’t power down a dozen twinkies, 6 or 7 McDonald’s cheeseburgers, or a box of Oreos when the inevitable munchies hit?